Wait DXY – MT is sideways volatile. There are major implications for the dollar index after last weeks shock Brexit vote in favor of leave. Firstly, it is now unlikely that the Fed will raise rates in September and the chance of a rate rise in December is very small. The Fed may well shift to a neutral stance, and should engage in some loosening of financial conditions via providing liquidity to other central banks around the globe. Given that the market was unprepared for a Brexit and the on-going uncertainly that a leave vote will create, we can expect USD to benefit from risk-off flows, in particular against the euro and pound. While the narrative of the US tightening may have ended for now, don’t forget that we will see the ECB and BOE engaging in more easing measures. This is supportive of the thesis that the dollar index will remain within the technical structure outlined here in previous weeks. Watch for a break of 96 for a move into bull MT territory on the daily charts. Sell GBP/USD. Trend – MT is bear extreme. Of course the major event in financial markets was the surprise outcome of the Brexit vote in favor of the leave campaign. The financial and political ramifications of this will be long-lasting. I won’t go into the details of what the vote means here (there is plenty of commentary available), rather I will focus on how to trade it. Risks will remain heightened in the coming weeks. In particular there is the outlier risk of a second referendum, so positions should still be kept on the small side. Volatility will remain in the market so establishing low-risk long-term positions will be difficult. The volatility will mean there will be some excellent opportunities for short-term traders. I think we will see a re-test of the lows, so look for a break of 1.3570 for a move back towards 1.3200. Whenever the market starts moving fast in your favor, keep a tight trailing stop as it is likely to reverse quickly. Sell USD/JPY. Trend – MT is bear fast. The USDJPY hit the long-term target of 100 mentioned here previously on the back of safe-haven flows resulting from the Brexit vote. There is talk of BOJ buying at the 100 level but it remains unconfirmed. Short-term traders can continue to sell this week, in particular if stocks come off this is a good play. Long-term traders now is the time to grab a good chunk of profits if you have not done so already. Wait AUD/USD. – MT is sideways volatile. Aussie will be one to watch in coming weeks. The Brexit result is perhaps less important to Australia (as it is not as important to China), so we may see yield seekers hungry to buy the AUD (and Kiwi). On the other side of the coin, the AUD could suffer from risk-off flows given the amount of uncertainly around. Possibly a good bet is to buy AUD vs. EUR and GBP. Sell EUR/USD. Trend– MT is bear fast. The EUR is likely to suffer on the back of the Brexit vote. European stocks were down heavily and we will see the ECB step up their easing activities and rhetoric. The EUR should be quite volatile, but not as much as the pound, making it a good option for short-term traders. We are currently holding below the key 1.11 level which puts us in bear MT territory. Wait NZD/USD. – MT is bull volatile. The kiwi sold off heavily on Friday, but buyers stepped in and half of the losses have been retraced. Similar to the AUD, I like to buy kiwi vs. GBP and EUR this coming week. Wait USD/CHF. – MT is bear volatile. The SNB was actively engaging in weakening the CHF on Friday. I think better options elsewhere for now. Wait USD/CAD. – MT is sideways normal. Oil sold off 5% on risk aversion after the Brexit, but has not yet reached bear MT territory (needs to hold below $46). If oil does continue to sell-off and we get more risk aversion in stocks then USDCAD is a good buy. Yields in Canada are not like that are in Australia or New Zealand (making the carry trade less appealing) and a weak oil price creates a serious headwind for the CAD. Buy on a break of 1.32. Wait EUR/GBP. – MT is bull extreme. EURGBP was brought heavily on Brexit and has moved into bull MT territory. Short-term traders can look to buy but I prefer EUR and GBP vs. the USD instead. Wait EUR/CHF. Trend– MT is sideways extreme. The SNB has been involved, stay out in this MT. Sell AUD/JPY. Breakout– MT is bear fast. Continue to sell, but watch for central bank liquidity to support stocks. Wait NZD/JPY. – MT is sideways volatile. Wait for now, better options. Sell GBP/JPY. Trend – MT is bear extreme. GBPJPY was absolutely creamed on Brexit, down around 16% at one point. Short-term traders look to sell, but watch for BOJ intervention. Keep trailing stops tight once in profit. Sell EUR/JPY. Trend – MT is bear extreme. Continue to sell. There is lots of downside potential. Sell CAD/JPY. Trend– MT is bear fast. Look to sell but wary of a sharp reversal. Sell CHF/JPY. Trend– MT is bear fast. Continue to sell but with caution. Sell GBP/NZD. Trend – MT is bear fast. Continue to sell, next target 1.77. This is one I like. Sell EUR/NZD. Trend – MT is bear fast. Continue to sell, a good option this week. Wait AUD/NZD. – MT is sideways normal. Wait for now. Sell EUR/AUD. Trend– MT is bear fast. Look to sell for a move towards 1.45. Good option this week for short-term traders. Sell GBP/AUD. Trend – MT is bear extreme. Short-term traders look to sell. Wait AUD/CAD. – MT is bull volatile. Wait for now. Sell GBP/CAD. Trend – MT is bear extreme. Wait or short-term sell. Wait EUR/CAD. – MT is sideways normal. Wait for now. Wait GBP/CHF. – MT is bear extreme. Wait. Wait NZD/CHF. – MT is bull volatile. Wait for now. Wait AUD/CHF. – MT is bull volatile. Wait for now. 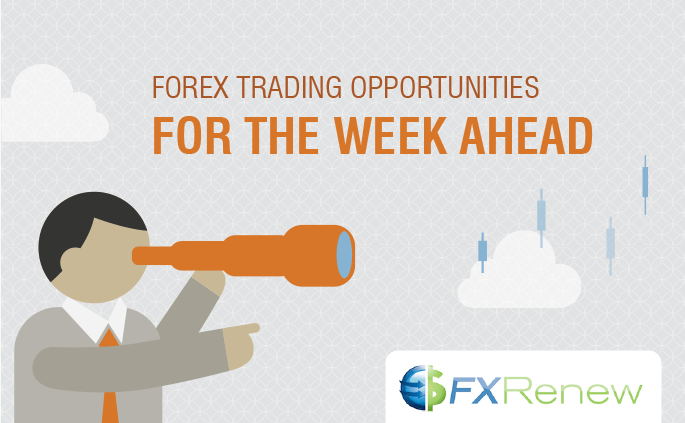 The post Forex Trading Opportunities for the Week Ahead 27 June 2016 appeared first on www.forextell.com.